Christmas is in three days!!! Arghhh!! If you still haven’t finished your Christmas shopping, then I thought a wonderful (and very easy) gift this year would be a hamper-like-stocking full of treats. 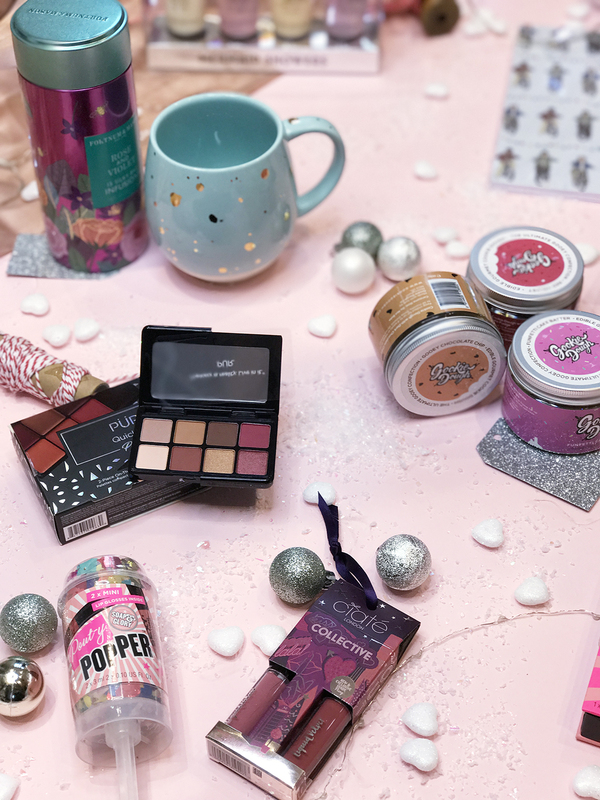 So without further ado, here are some of my favourite stocking fillers this year! 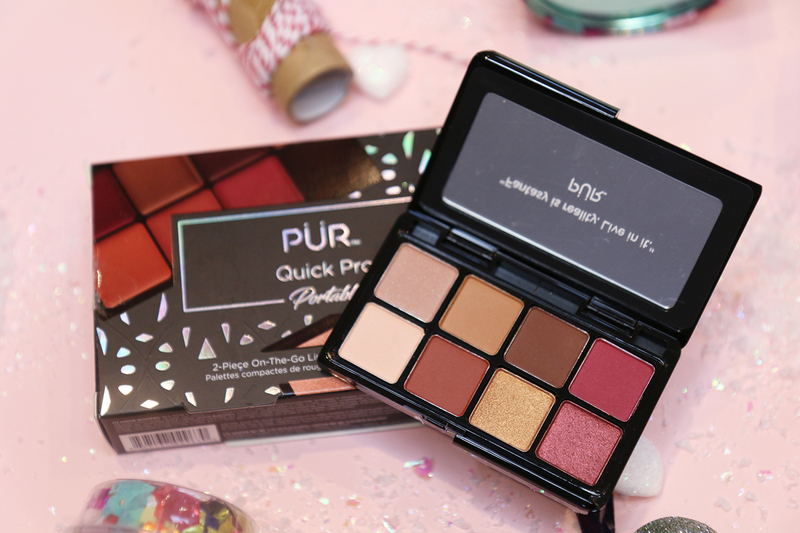 First up, this ADORABLE palette from Pur. The Quick Pro Portables Gift contains two on-to-go palettes that fit comfortably in the palm of your hand making it perfect for travelling this winter. The eyeshadow palette contains 8 gorgeous matte & shimmer shades in warm, rose gold hues and there’s also a lip palette with 8 lipsticks. At only £15 this is a great beauty gift! The perfect little stocking fillers for those obsessed with lipsticks. Firstly the Soap and Glory Pout-y Popper (filled with confetti and lipgloss, what could be more cute!!) and the Ciate Kiss Collective Tree Decoration with two of their best selling Liquid Velvet Lipsticks! The Ciate gift is currently half price from M&S at £6! Ciate Kiss Collective available here! Soap and Glory Pout-y Popper in store at Boots for £6! 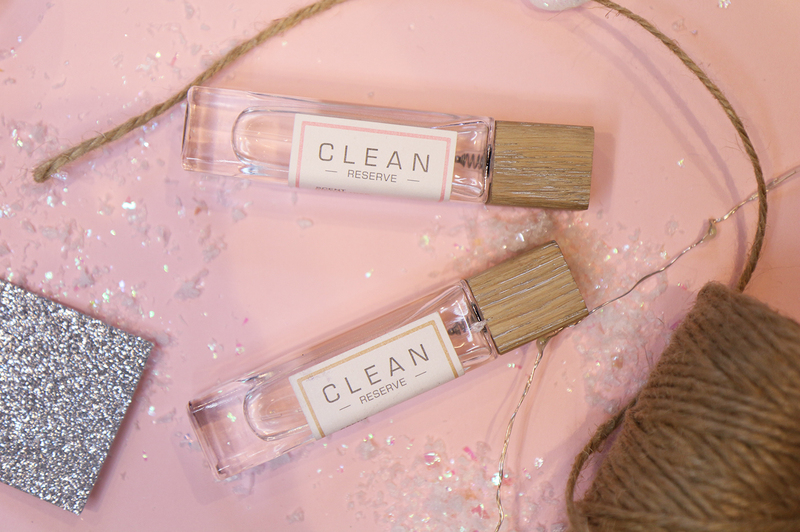 Clean Reserve perfumes are the newest additions to my fragrance collection and these travel size atomisers are an absolutely wonderful way of introducing someone to the brand. I love their minimalistic packaging and easy to wear scents – I highly recommend these! My favourites are the Sueded Oud and Blonde Rose. 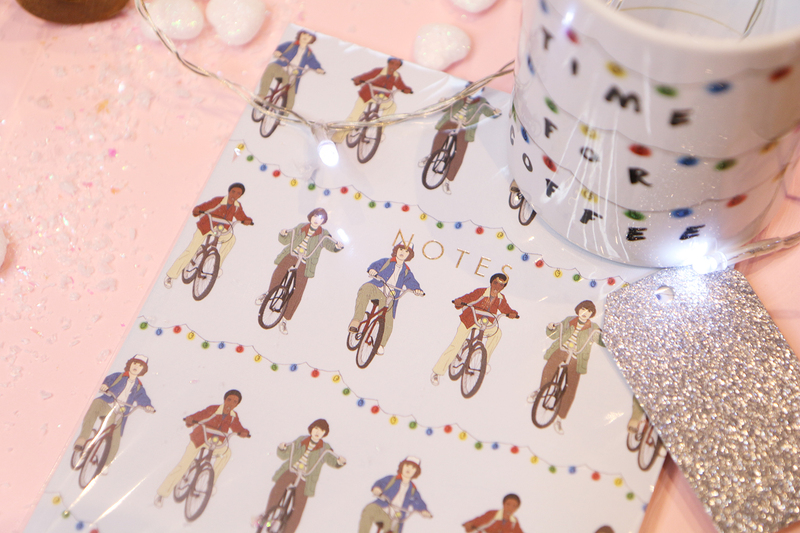 Got a friend or relative obsessed with Stranger Things? I spotted these gifts on the Central 23 website and thought they’d make wonderful stocking fillers! 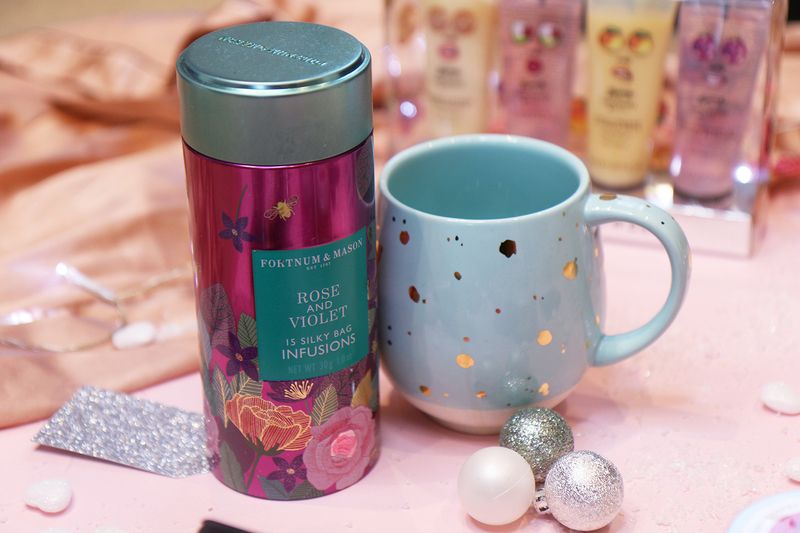 Who doesn’t love a fancy tea and a new mug on Christmas day? I treated myself to this pastel blue and gold spotted porcelain mug from Dun Elm last month and am tempted to pick them up as gifts for loved ones too! They come in a selection of cute pastel colours and match this Fornum and Mason Rose & Violet Tea Tin perfectly! Fortnum and Mason Tea Available Here! Forget oranges at the bottom of your stocking this Christmas! 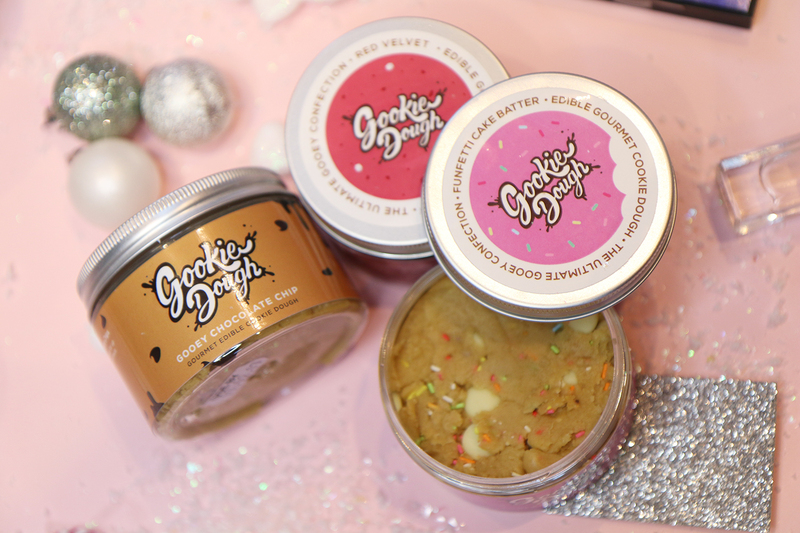 This year I’m treating loved ones to Gookie Dough – the edible raw cookie dough that comes in a selection of flavours. These are perfect gifts this time of year and the whole family will love munching these down with a cuppa (and perhaps ice-cream) on Xmas day. 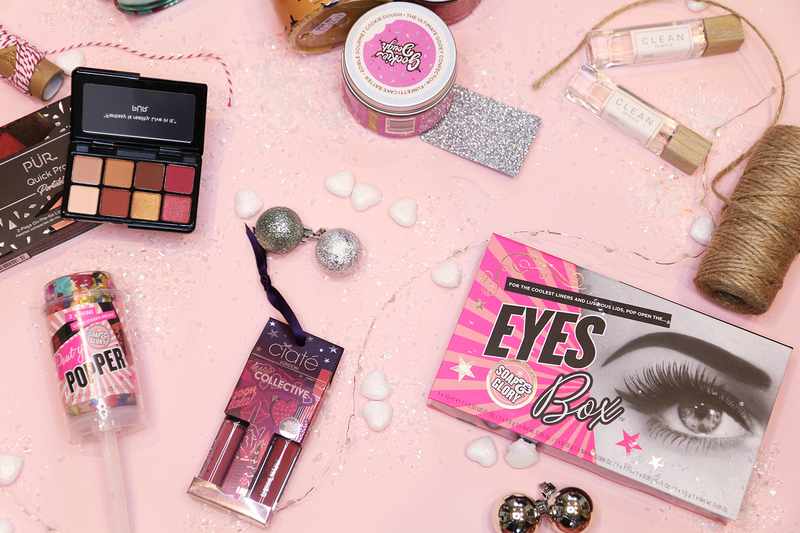 Soap and Glory always do the most lovely gift sets and this Eyes Box is no exception. It contains 4 of their must have eye products to create your very own smokey eye this winter; with the Thick & Fast Mascara, Super Cat Eyeliner (my favourite! 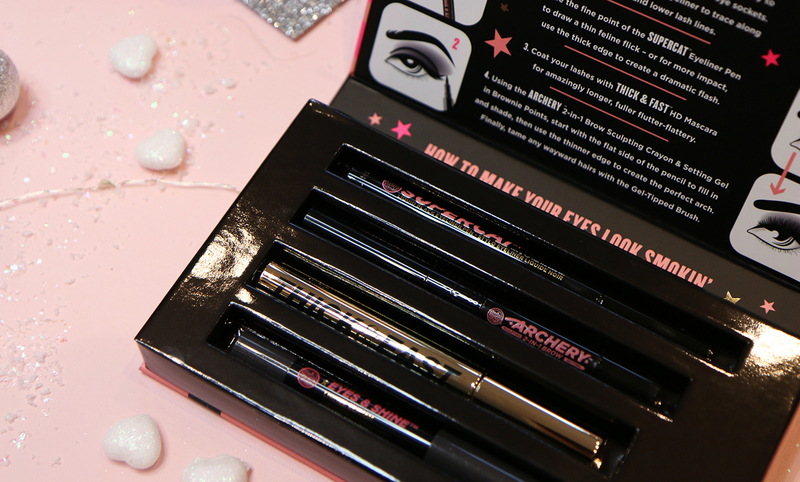 ), Archery Brow Pencil and a Limited Edition Eyes & Shine eyeshadow pencil, it’s a must have for a beauty addict. Available Here or in Boots stores! 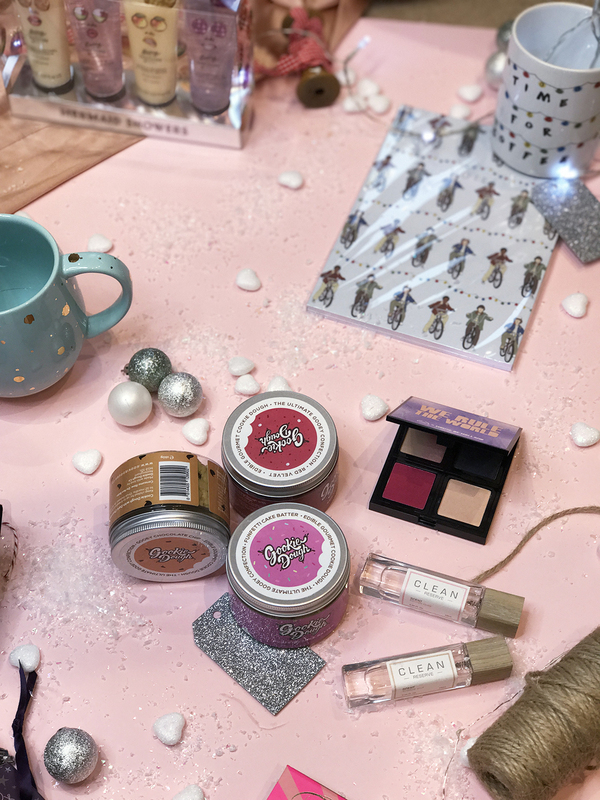 Being by Sanctuary launched earlier this year at Boots (the sister company of Sanctuary Spa) and they have a gorgeous range of gifts this winter. 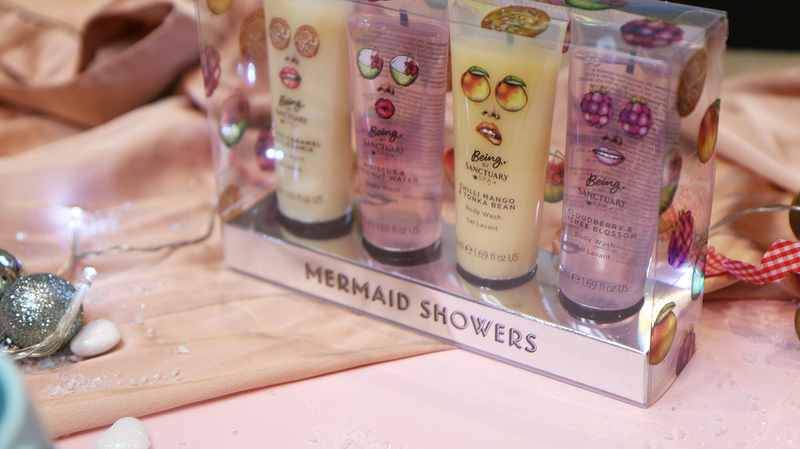 I have a family member who loves a good shower gel and I know she’ll love this Mermaid Showers set! Again, I apologise for this being so late in December (blaming vlogmas) but I hope it’s helped some of you! 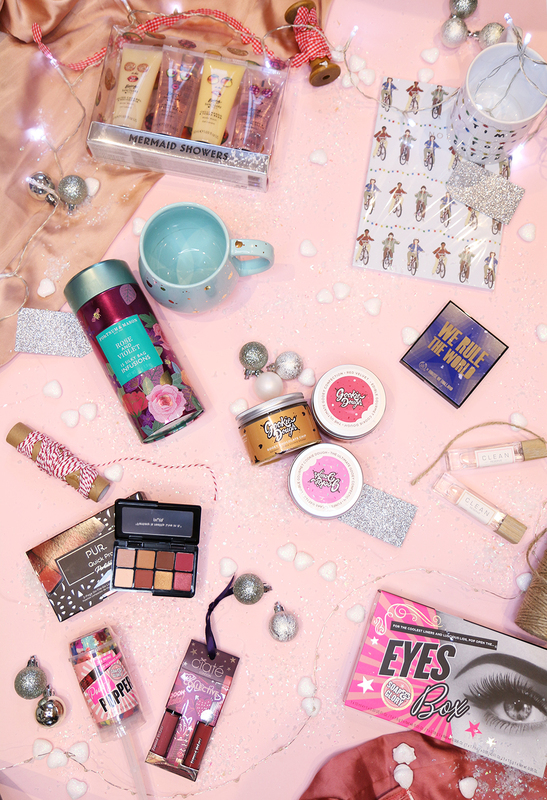 Next Post Last Minute (in store) Christmas Gift Guide!